PHOTO COURTESY SONY PICTURES CLASSICS Maggie Smith and Alex Jennings in "The Lady in the Van." 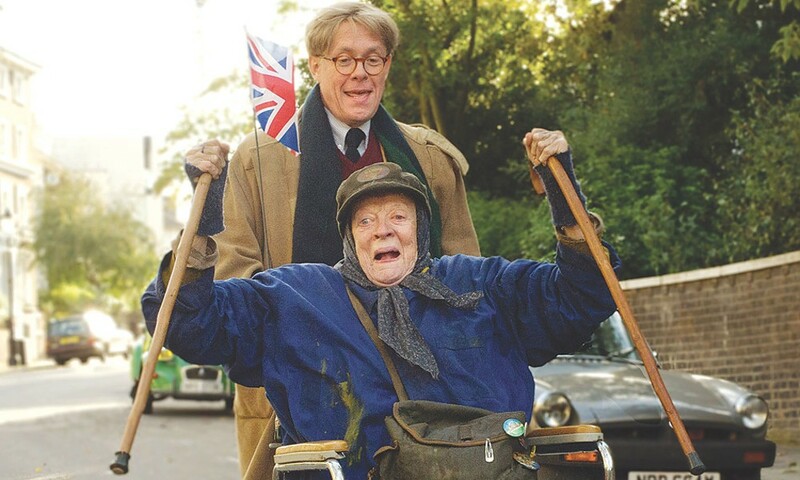 In the charming "The Lady in the Van," Maggie Smith stars as the ornery Miss Shepherd, a homeless woman who meanders her way into playwright Alan Bennett's upscale North London neighborhood. He allows her to temporarily park her home in his driveway, only for her to end up staying for 15 years. Scarred by events early in her life and possibly on the run from the law, Shepherd sees something of a kindred spirit in Bennett (played sympathetic by Alex Jennings), who's also an outsider among his proper, middle class neighbors. Whether her long-term residency in his life is a result of his own timidity, guilt over his relationship with his mother, or simply a desire to use this fascinating character as writing material is never certain (even to Bennett himself). A silly device allows us to watch Bennett bicker with himself onscreen, but Smith is terrific -- is she ever not? -- finding the deep pools of regret beneath the cantankerous exterior.